Quantity 21, 12VDC outputs with programmable Electronic Circuit Breakers (ECB) up to 10A each (higher ratings available upon request). 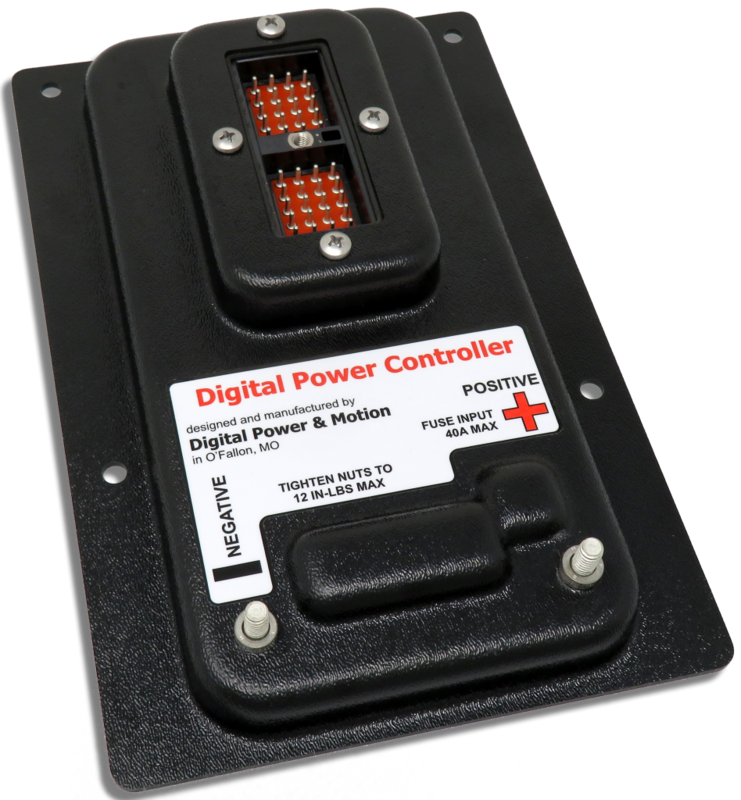 Quantity 4, 12VDC digital inputs for monitoring ignition switch, bilge float switches, etc. Simple, open, serial network protocol. ECBs use false trip reduction technology. Light loads are dimmable and can brighten/dim slowly. 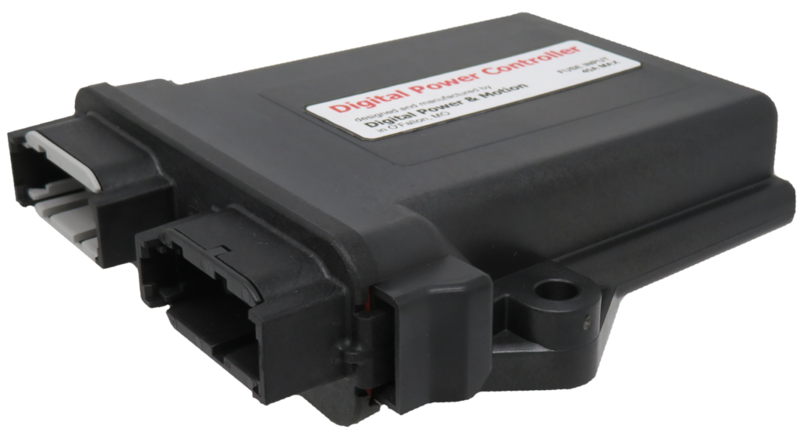 Battery saver technology turns off loads when battery voltage falls below 10V. Module is reverse-polarity and transient-voltage protected with 3000W transient voltage suppressors. Individual outputs are over-current and over-temperature protected. Rated 40A continuous, 60A intermittent. Sealed Deutsch 40-pin DT series connector. Entire module potted in urethane. IP65 rated.